The Corey C. Griffin Charitable Foundation is a 501(c)(3) nonprofit organization focused on grant-making. It is an organization dedicated to philanthropy work in the Boston area and has had a considerable impact through its financial support and carefully selected partnerships, with children across the Greater Boston area benefitting on a daily basis. 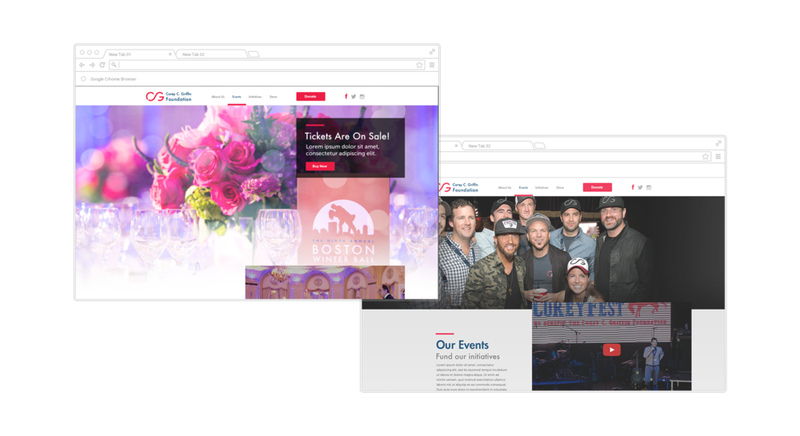 The Corey C. Griffin Foundation needed a digital rebranding that would result in a cleaner and more engaging experience. The visual style and feel of Corey C. Griffin was created to live on the web, but also to extend to more other brand material such as apparel and print. The main focus, the digital presence, was elevated to better communicate the brand’s message to its audience.